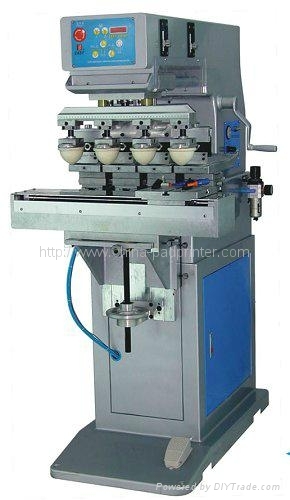 More large area pad printing ; With shuttle work table and more precision overprint; Four colours pad printing per time; Coin aluminum machine structure for running stabilization.opened inkwell to provide ink for operation simply. 3. Etching plate 4 pcs.